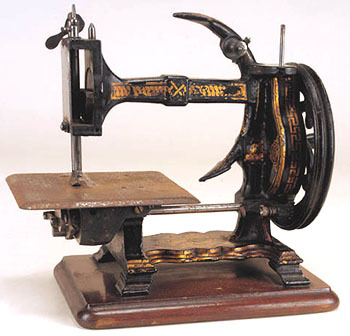 Antique sewing machine - Bradford Anchor. This fine Thomas Bradford anchor-form machine was marketed in the UK during the 1870s. This particular machine is notable for having differing main castings - i.e. more open - than other known examples.